If I ask you what comes to your mind when someone says India, what would you say? The most crowded population in the World after China, the spicy cuisine which is delicious and wide, the cast system between regions, English as a common language in the country, Gandhi and his independence struggle, wedding traditions which last at least 5 days, smiling people who wants to take photos with you, dances or Bollywood? My first introduction to Indian culture was during my MBA education in Canada. I was waiting forwardly for my close friends’ wedding to experience India. Finally, last year I had the chance to spend 12 days in India. 12 days is not enough to understand this multicultural country’s soul, people, their lifestyles and mentalities, but it still helps to widen your perception. There is a sentence we all know, ‘’either you love India, or hate it.’’ I am on the side of people who love India with all the differences, smells of spices, monkeys, elephants and cows, its energy and colors because this country is an oasis for the travelers all around the world because of its cultural legacy. Here are more than 200 different languages which are spoken in India however as it was ruled by the UK, their common language is English. India is a very big country, this is why I had only the chance to visit the region which is called ‘’Golden Triangle’’ (Delhi-Agra-Jaipur) and the legendary city of Bollywood, Bombay. Everything aside, it was priceless to be in a traditional Indian wedding. Indian poet Rabindranath Tagore said: ‘’Taj Mahal, rising as a single teardrop which is hanged off the time’s cheek through the riverside.’’ Edward Lear, an English Lord said: People divide into two, people who saw Taj Mahal, and people who don’t. If you ask my opinion, it is a splendiferous beauty with its energy which comes from its magical whiteness. So, what is Taj Mahal? It is an indicator which shows the love of King Cihan, the king of the Mughal Empire to his wife, Banu Begum. It is also a symbol of the power of the Mughul empire. Since 1983, it is in UNESCO’S World Heritage list. There are estimated 3 million visitors in a year. You can’t come with vehicles which are working with gasoline or vehicles with diesel motor after a certain distance to Taj Mahal. This is because authorities do not want its white marbles to be harmed. You can use minibusses which are working with electricity, phaetons which are called Tonga and Rickshaws, or you can walk. The decision is yours. You can understand that you are in another region when you travel from Agra to Rajasthan with a vehicle. Different kinds of people, animals, colorful saris, camels, monkeys, crowded buses, large trucks with Blow Horn writings at the back, families which are using one motorbike with 5 persons… These are some of the interesting things which I saw on the way. Jaipur, which is also called the pink city, is a traditional and colorful city. You can discover the ancient architecture of the city while you are walking around the palaces and crowded markets. It is breathtaking. While building the structures, pink stones and terracotta stones are used mostly, this is why it seems very romantic when the sunlight hits. Jaipur is a beautiful, esthetic and warm city. Sunsets are very beautiful. There are monkeys all over the trees and holly cows which are walking very slowly. Old Jaipur is surrounded by 7 doors and all of these doors must be seen. All the buildings in the old city are pink. Hawa Mahal, the wind palace should be seen also, especially early in the morning. There is also an observatory for a woman and of course, it is also pink. You should spend time in gorgeous buildings and gardens of the City Palace. Moreover, you can also visit elephants at Amber Fort which is located on a mountain close to the city, especially early morning times and enjoy the quietness of the place because it is very hard to find a somewhere quiet place in India. Even if it sounds contrast, New Delhi is one of the dirtiest but the greenest metropolises in the world. It is mostly because of the oldest mountain chain in India, Aravalli Hills is also known as Delhi Mountains. Moreover, most parts of the old Delhi was built on these hills. It takes a lifetime to discover New Delhi, but for the beginning, the most ideal place to visit is the Jama Mosque which is also in UNESCO’s world heritage list. It is the most crowded Mosque in India and 7th in the world. It is not only for worship but also a place in which people can socialize and spend some time together. Old Delhi is more active, historical and chaotic. You may travel all around the old city with a rickshaw and you can visit the marketplaces, temples, churches, mosques. The last thing I want to mention about is Indian Weddings. As a witness of a 5-day Indian wedding, I can say that traditions are very important for them. Even if their children and themselves are living and getting an education in the west, Indian people organize their weddings according to their traditions completely. Although they do not have a positive look on marriages among people who are coming from different regions, they are not opposed to it. However, when two people from different regions decide to get married, duration of marriage and marriage functions increase as every region has different traditions. I was both friends with bride and groom, this is why I attended all the ceremonies and I have to confess that although it was very tiring, I experienced moments which I will not experience after. I tried applying Indian henna, I wore Indian traditional clothe Sari, I learned Indian dance style. I also saw that there are some similarities between Indian and Turkish cultures. In Indian Culture, grooms are responsible for the brides’ clothes. Brides are not wearing white wedding dresses, instead, they wear a special dress called ‘’sari’’. Brides come to their weddings with casual daily clothes and after grooms give brides their wedding dresses, they change their clothes. 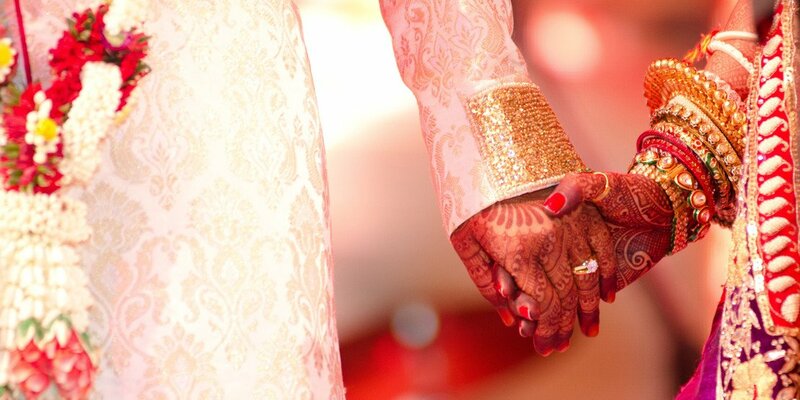 Another wedding tradition of India is the Henna ceremony called ‘’Mehndi’’. There is also one more Indian wedding tradition which is called ‘’Joota Chupai’’ means hiding the shoes. Before groom says ‘’yes’’, he needs to take off his shoes. Groom’s family tries to prevent the bride’s family to hide the groom’s shoes. This tradition becomes an entertaining competition between families. India is a colorful land and stories about India will never end.